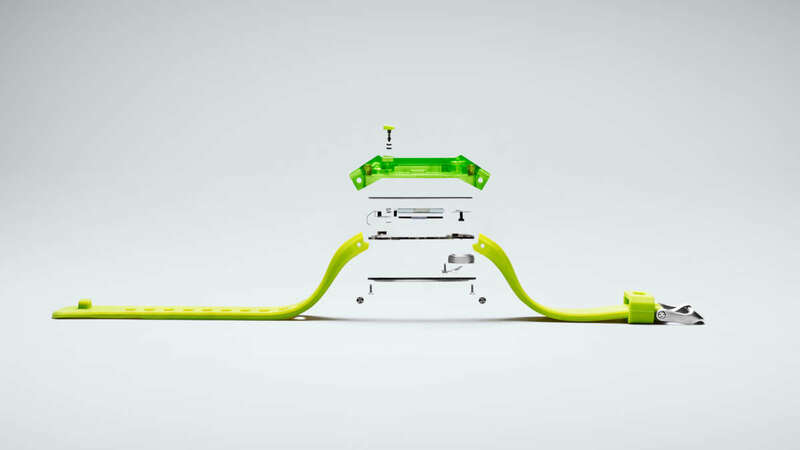 Designing the world's thinnest surf watch from the inside out. Cinco has been a partner of Nixon’s from day one. Even after collaborating on dozens of category firsts, our challenge remains the same. Be fresh. Be first. 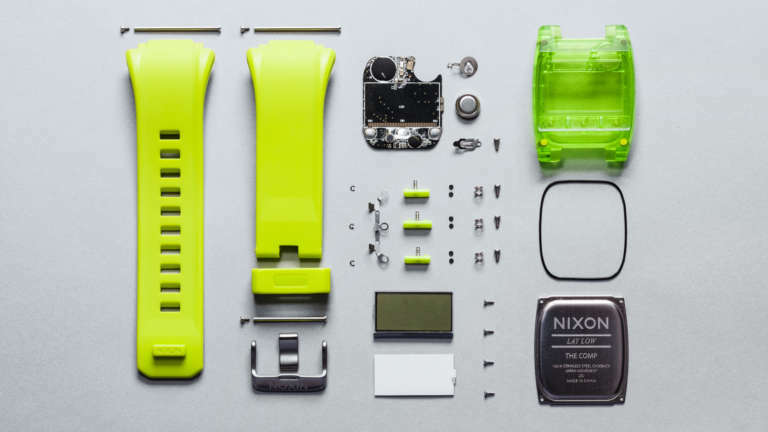 Every Nixon product has to have a distinct reason for being, a crisp point of view, and do what rival products can’t. 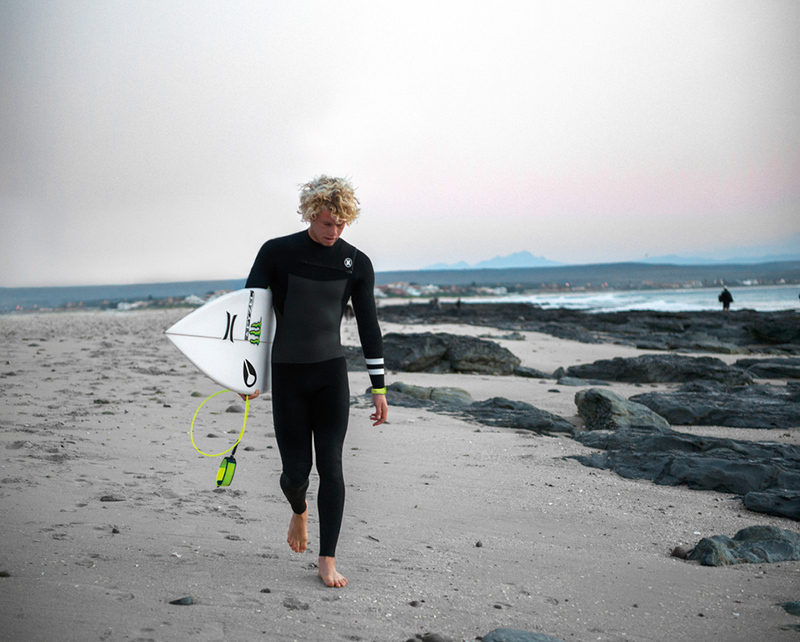 Professional surfer and Nixon team rider John John Florence posed a challenge – develop a surf watch that would reliably stand up to the rigors of World Surf League competition. A few seconds can make or break a heat, and John needed a fail-proof timepiece that could slip under a wetsuit but was tough enough to take a pounding. 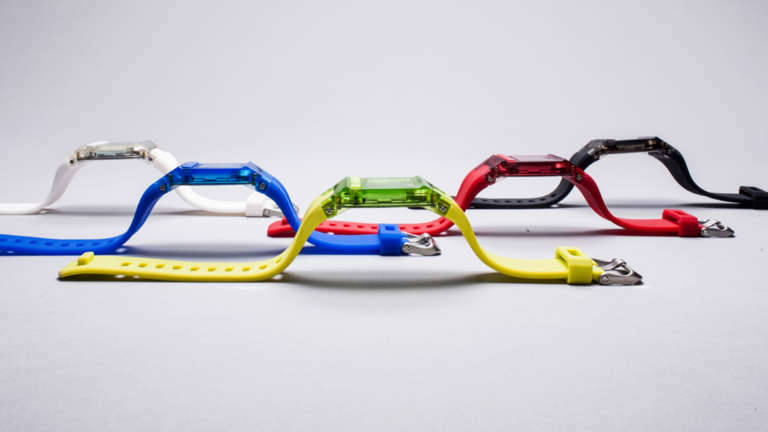 We needed to create the world’s thinnest surf watch. Over the years, we have helped Nixon create a myriad of digital watches, but to reach the ridiculously low profile that John John Florence wanted for the Comp we had to completely retool the established architecture from scratch. 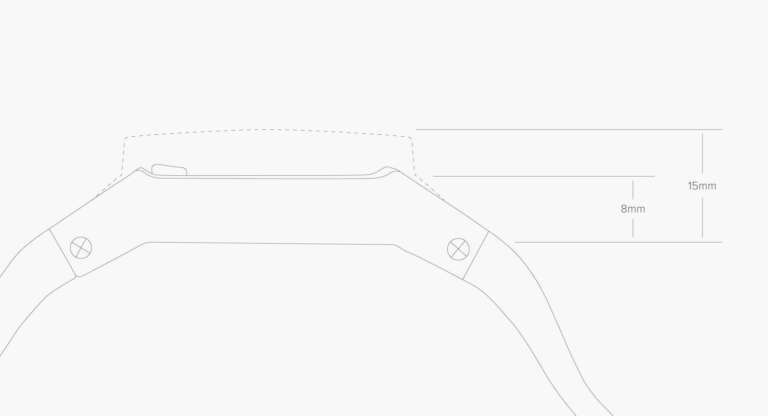 We de-constructed essential components to their most elemental form, dissecting parts and designing each to fit within the thinnest possible profile. Our knowledge of technology, manufacturing and design led us to a bold solution. We started by aligning the screen, battery, and push buttons on the same plane. 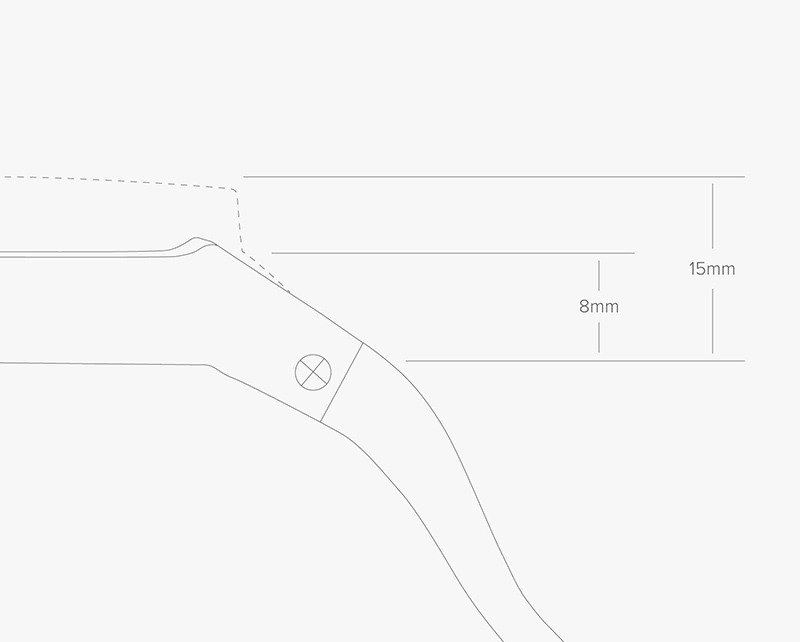 Then, we found even more space by making the case itself clear and merging it with the crystal of watch to achieve a ridiculously low profile. We embraced the clear case as a signature part of the look, integrating the hardware into the CMF story. 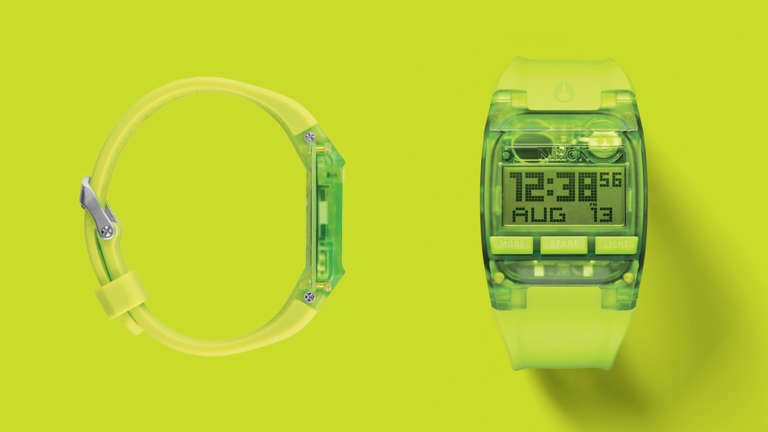 Every detail was considered, from the custom color PC boards to the Nixon icon as the battery lead. 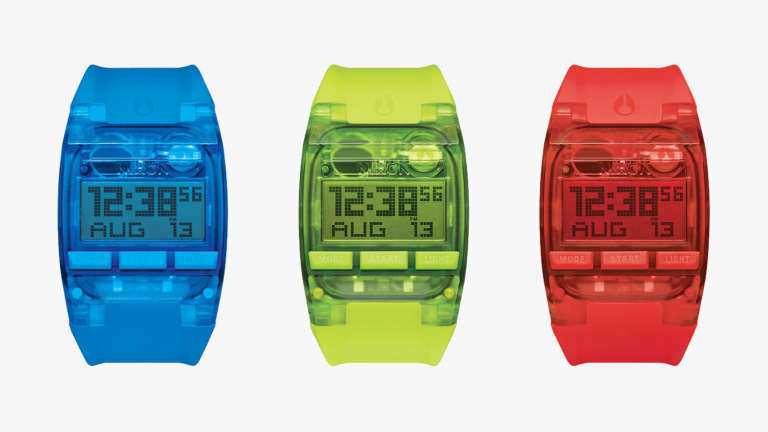 Another Nixon breakthrough, delivered in style.